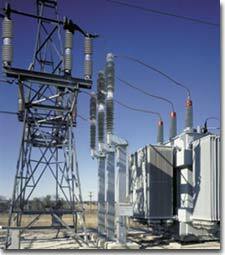 Three-phase tripping by electrically linked pole-units. A 31.5-kA fault-interrupting rating and 3-cycle interrupting time. Compatible with virtually any relay system. Lightweight, compact design for superior mounting flexibility. Hermetically sealed pole-units. SF6-gas-filled pole-units are factory-filled to full pressure, then permanently sealed. Field filling is never needed. S&C Trans-Rupter II Transformer Protector, available from 69 kV through 138 kV, is designed exclusively for primary-side protection of distribution substation transformers. It gives you advanced protection capabilities previously available only from higher-cost devices, like circuit breakers, but at much-reduced cost. With its simple installation procedure and no periodic maintenance needs, Trans-Rupter II not only provides low installed cost, but low operating costs as well.